At receipt on faculty of journalism at St. Petersburg State University along with the examination in Russian language and literature test test – creative competition. It consists in writing the essay and the oral presentation of his view on social and ethical themes. 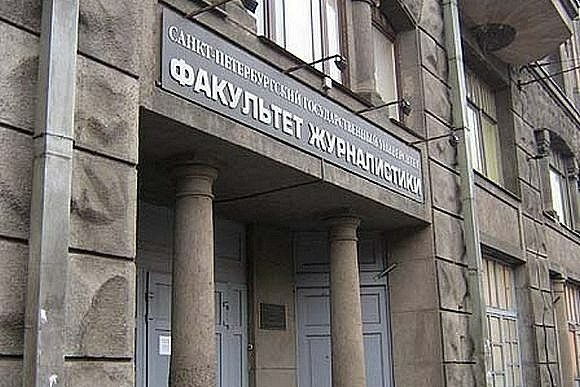 In St. Petersburg state University creative exam is a required entrance test for admission to full-time and correspondence form of training on a speciality "journalism". Exam provided the State educational standards and is carried out in accordance with special Regulation. Creative exam consists of two assignments: written and oral. The first is the writing of essays or essay and the second in the interview with Committee members on a particular topic. The list of topics for training is provided to applicants in advance – posted on the Bulletin Board of the faculty in electronic form on the website. Their selection is determined by the chance of the examination ticket. First, the students perform a writing assignment. Example topics for essay can be: "I would like to be and why", "Monologue things in the first person," "My unusual friend", "Once", etc. On the job coming play 90 minutes. The essay should be at least 150 words. Oral assignment is carried out in the form of a monologue of a pupil with a statement of his point of view on a particular issue, and further dialogue with members of the admissions Committee. Topics for oral discussion of selected social and ethical orientation. Examples of areas of topics: "individual and society", "actual problems of society", "spiritual life and culture", "cognition", "modernity and moral principles", "the role of religion in society", "social relations of ethnic groups," "politics as a sphere of social life," etc. The main purpose of the creative examination is to test the applicant on the availability of creative abilities to describe and defend their point of view. Final assessment the exam is worth 100 points for both parts of the test – maximum of 60 points for the written assignment and a maximum of 40 points for the oral interview. A written essay by student is checked for journalistic interpretation of the same theme. The text should be laid out logically, the composition of the composition must be easy to read. Special attention is paid to the ability correctly to state the facts, not changing them to support his vision of the theme. Attention is drawn to the language and style of presentation. Oral assignment allows you to define communication, public speaking and discussion abilities of the applicant. Highly valued original, interesting presentation of its themes, the ability to quickly and easily answer questions. Applicants have to defend their position and at the same time relaxed to listen to the opponent and maintain a dialogue with him.